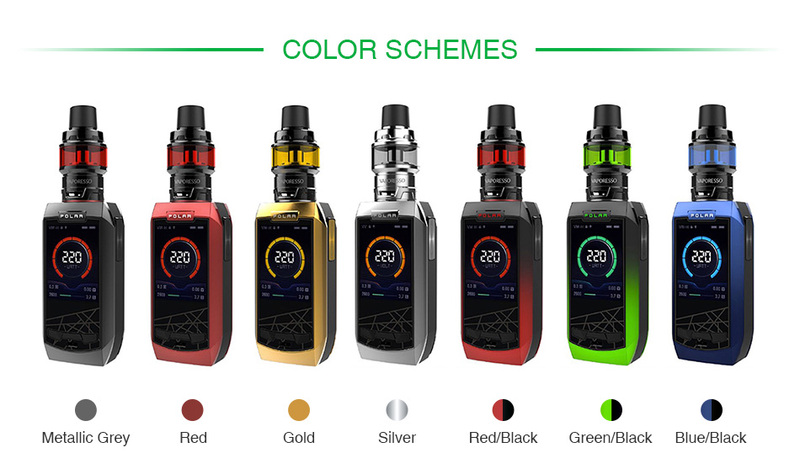 The Vaporesso Polar TC Kit is a new version of Vaporesso family, consisting of the Polar TC Box MOD and the Cascade Baby SE tank. The Polar TC Box MOD has an elegant prismatic appearance and ergonomic design with a beautiful 2 inch large TFT display. Powered by dual 18650 batteries, it can fire up to the max out put of 220W. With 2.5A quick charge and 0.001s quick firing speed, the Polar can easily halve your charging time and will be more optimized for users looking for some serious power output with minimal fire delay. 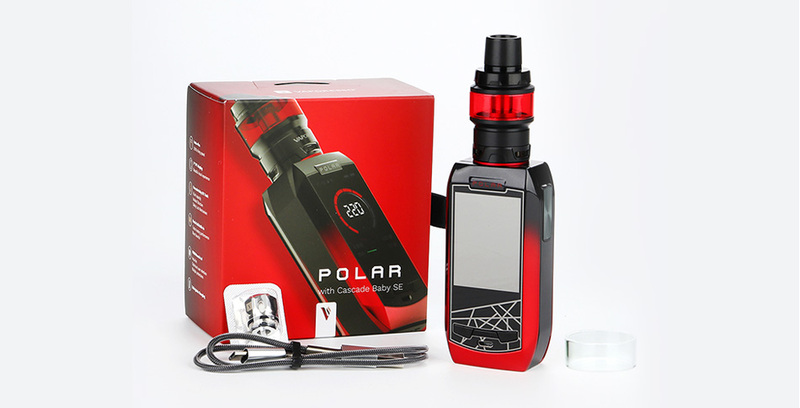 Together with the upgraded OMNI Board 4.0 chipset which integrates Insta-Fire, super player mode and multiple protections, the Polar will satisfy your various vaping needs. And the unique Cascade Baby SE Tank features easy top fill system with child-lock mechanism for convenient refilling and avoiding leakage. What’s more, the Cascade Baby SE has the innovative GT mesh coil to enlarge the heating area and the revolutionary triangular airflow system to produce denser cloud. No hesitation! 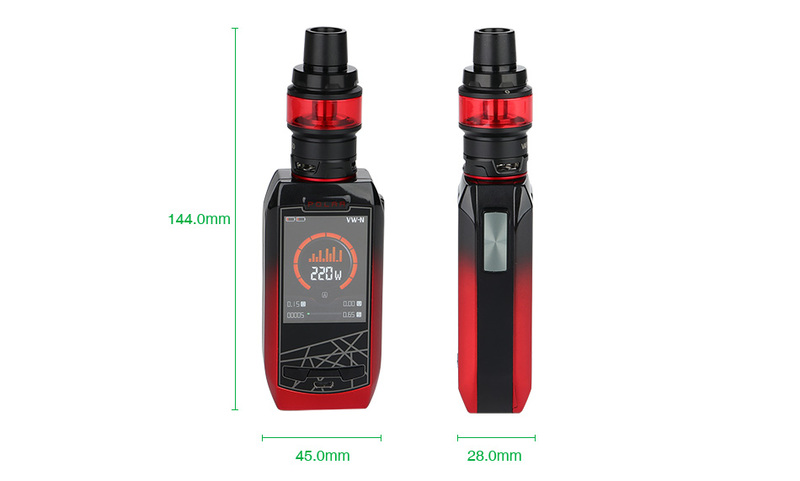 Just take the Vaporesso Polar TC Kit home.